Last month, we posted a video of Interior Secretary Jewell speaking at an event at the Center for American Progress. During that event, she was asked a question about her proposal to eliminate Endangered Species Act protections for most of the nation’s gray wolves. In response, she recounted being asked by a young person in Rhode Island not to delist wolves. We now know that science does not support this plan. An independent peer review panel examined the proposal and unanimously determined that it is not supported by the best available science. Please ask Secretary Jewell to do what the science says and withdraw this proposal and resume the efforts to recover wolves across the country. I agree with Ms. Alyssa Grayson and the independent study that unanimously agreed wolves have not been recovered , and should not be delisted. Secretary Jewell, you stated in a video post to Alyssa that its about the science.. I hold you to that statement to follow the best peer reviewed science for wolves. I agree with Dave Hornoff, you stated in a video post to Alyssa that its about the science. Let see how you decide this for the science is telling you not to delist the wolves. They are so need for the eco system having them killed is going to do way more harm than good…. Wolves are essential to our eco system. And let me add that wolves do not attack people as Fairy Tales & Hollywood suggests. 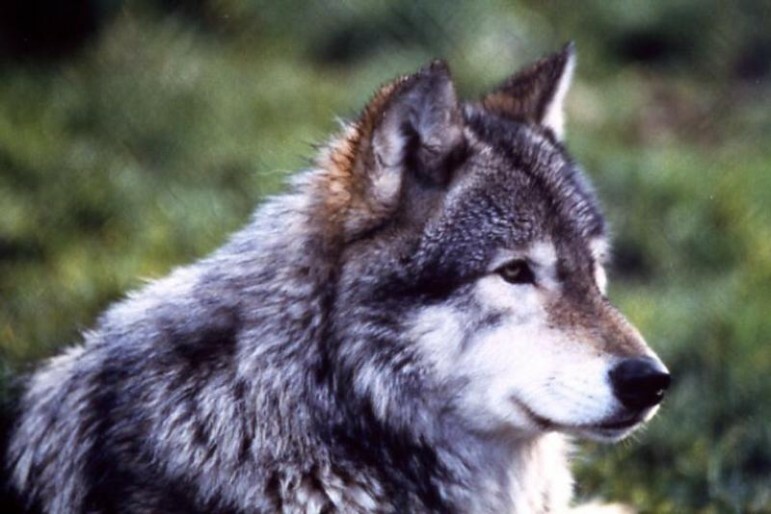 You need to side with science and do NOT delist wolves! I agree with Alyssa Grayson that wolves and all wildlife should be managed according to the best science available and not by selfish special interest groups. An intact ecosystem is vital to all of us in the world, and all its parts are essential. Too many people are waging a war of hate and vindiction against wolves and I strongly believe that they cannot recover without the help of the endangered species act. We need to act responsibly to prevent a second extermination of this vital keystone species. Alyssa I too remember the first time I seen wolves on the ground in Yellowstone. I was sobbing, thinking of how lucky I was to see them returned to there rightful place in Yellowstone and how proud I was for my generation for undoing the sins of our grandfathers. Today I work with an organization called Howling for Wolves that is fighting hard to stop the hunting and trapping of these magnificent creatures. keep fighting for them, they are so worth it. I agree that the wolves should not be delisted! They have a rightful place on our planet! If they are delisted they will be murdered by the ones that think they have the right to kill them. Keep fighting for them, they are so very worth it! It is wonderful to see a youth have a passion for wildlife protection and the tenacity to follow through on those feeling, well done Alyssa for getting your voice heard and your most valid message across loud and clear. Don’t delist the wolves! Keep them safe so posterity is able to experience these wonderful animals. Go Alyssa and long live the wolves! I am a agricultural science teacher and teach ecosystems to my middle school students. The wolf is extremely important in keeping the natural food chain healthy. A few years ago, we were fortunate to have Mission:Wolf visit our school. This organization brought several wolves with them and students were able to view them as they walked around the gym. The spokesperson for the group explained their importance in keeping the Elk population healthy and as an added result the pounding of the elks hooves opened up the land to absorb more water. Another important component of keeping the ecosystem healthy. I feel that the wolf population has not fully recovered and that they should remain on the endangered list and be protected from being hunted. Recover the wolves! Don’t delist them! They are one of the world’s wonders and there are only few. Stick to the science please! Go Alyssa! Keep doing what you believe in! I’m with Alyssa! Please don’t delist! Please keep the Gray Wolf on the endangered List. We agree with Alyssa too. Being passionate about what you believe in is great and it’s backed up by science. Let the wolves live!